On the road again! I’m on my way to Quilt Market and Festival in Houston,TX. I saved my exciting reveal until today…just days before I share it at Quilt Market. I have designed a new tool! 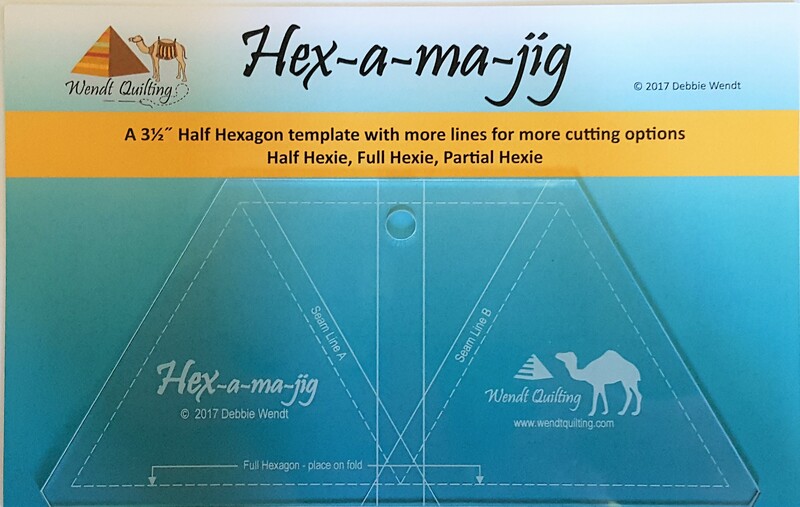 “Hex-a-ma-jig” A Half Hexagon tool with lines for cutting full and partial hexies. The tool is clear with etched lines to see on any fabric. Hex-a-ma-jig has 3 1/2″ sides for a 7″ hexie. 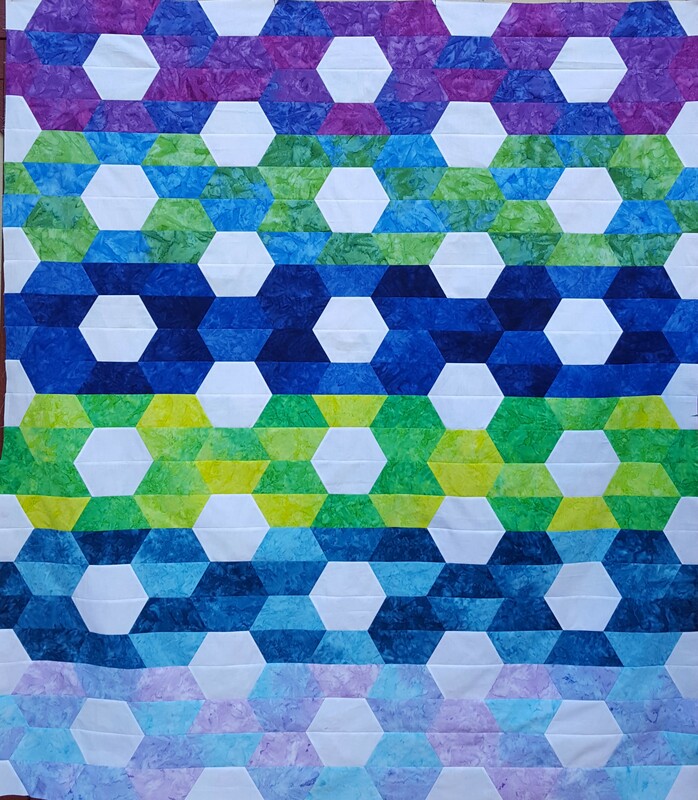 Full color instructions included for cutting half hexies, full hexies, partial seam hexies, partial half hexies for finished side edges, 60 degree triangles and diamonds. 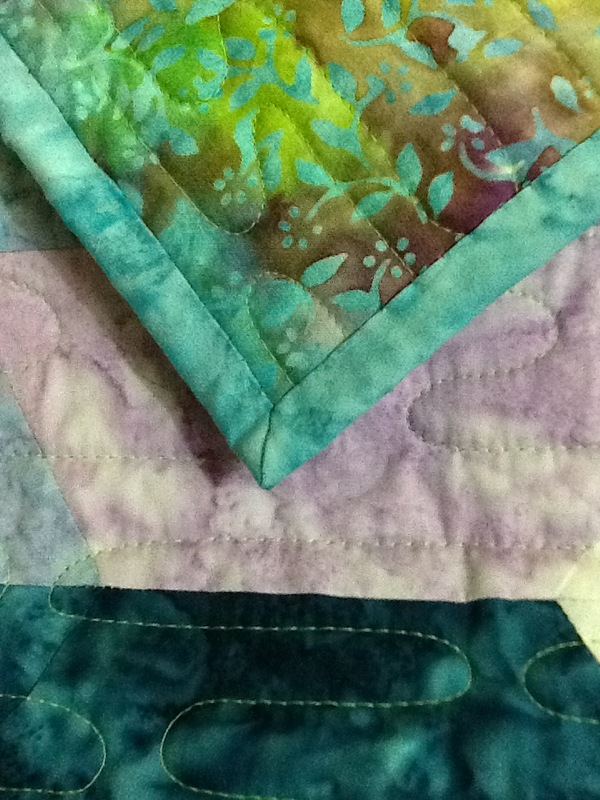 Six traditional hexie quilts also included in the instruction booklet. It will be available on my website soon. 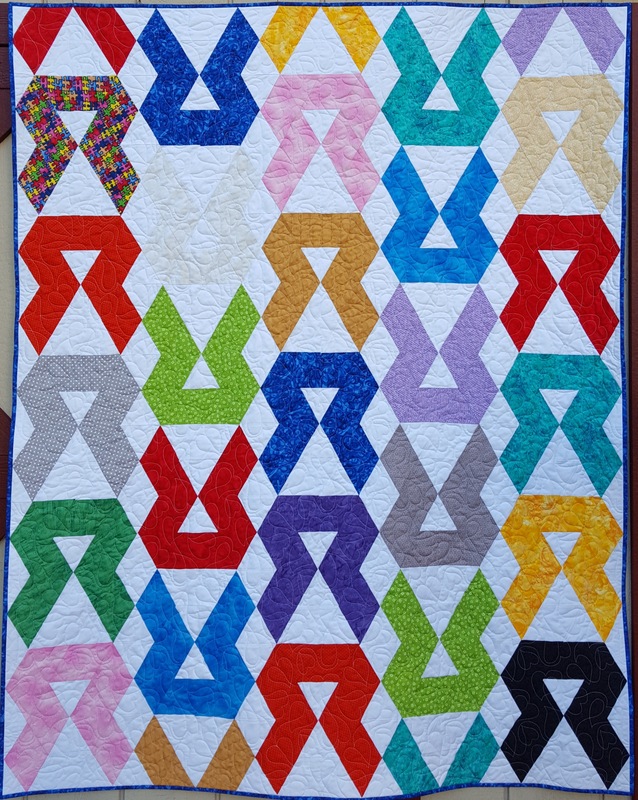 I have designed two new unique quilts that use the Hex-a-am-jig template. Take a look below! Soon to be available on my website. Look for the patterns in December. Quilting on the “Radiant Nuance Knot” was kept simple letting the piecing get the focus. 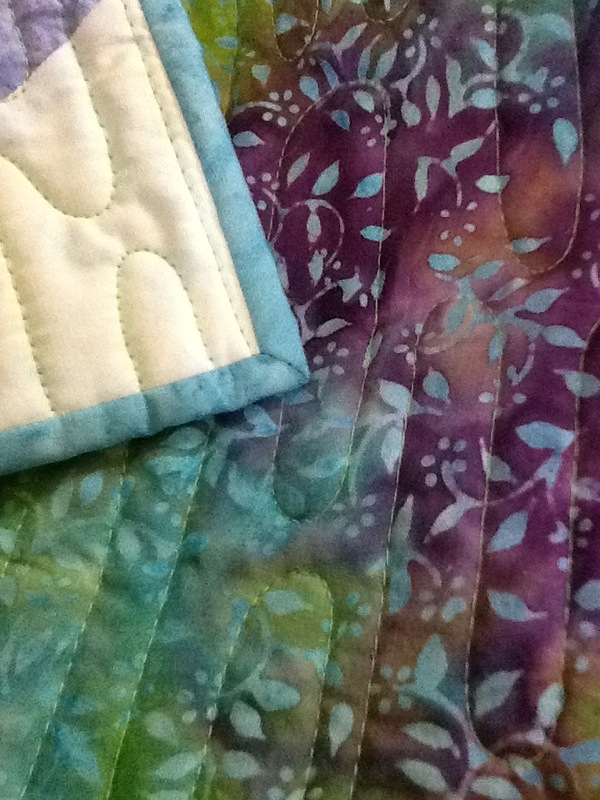 #1- Simple overall quilting keeps the focus on the piecing, not the quilting. #2- Turn the binding to the back and fill it up! The front is even all the way around and the back is also even. The front and back can be different widths, as long as they are even to their respective side! Will I see you in Houston? Come by my booth #1648 for both Market and Festival! 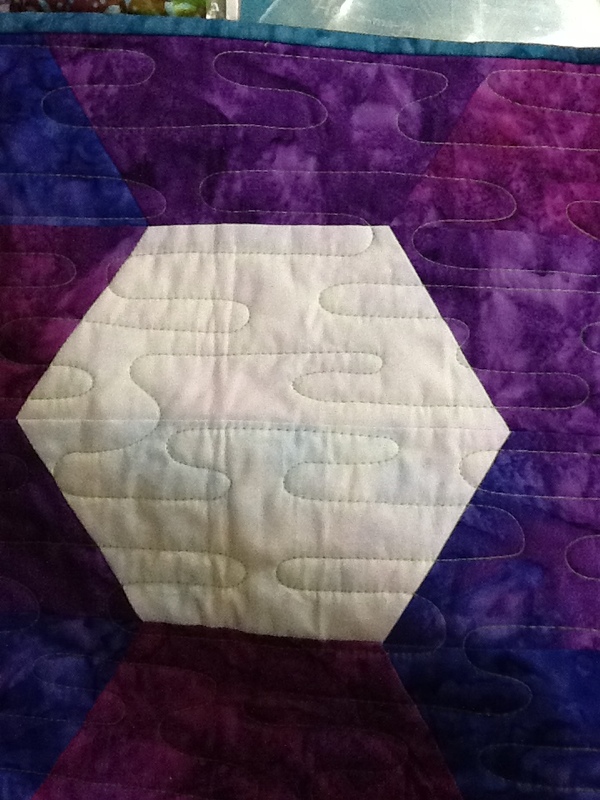 This entry was posted in Brilliant Bindings, Hexagons, Patterns, Quilt shows, Tools, Uncategorized. Bookmark the permalink. 4 Responses to Two Tip Tuesday – NEW! !